The Commandments of God is a quest to find the original stone tablets and to restore them into the Ark of the Covenant. Thousands of years ago, Moses was given the stone tablets with God's Commandments. They were kept in the Ark of the Covenant for a time, but they're no longer there. In modern day, Achava is a spiritual warrior. And a wife and a mother-to-be. Now, in their final mission from God, Achava and Sam must find and return the stone tablets of the Commandments of God into the Ark of the Covenant. It's their most dangerous mission ever - not only will Achava have to fight her greatest battle, but she must do it while carrying their child. And Sam must protect them all. Their journey takes them far and wide in the world - and to the far reaches inside their hearts and minds. As their dangerous enemies gather and their godly intentions are questioned, Achava and Sam must fulfill God's will and, one last time...save the world. Achava's love for Sam, and the ability they have to vanquish God's enemies, is tested as their spiritual mission erupts into war. Will Achava and Sam have enough faith, knowledge and wisdom to succeed in their quest to find and restore the Commandments to the Ark? Or will their final battle against evil be the last thing they ever do? Their fate - and the safety of their unborn child - is in God's hands. But can their faith see them safely through the toughest mission of their entire lives? 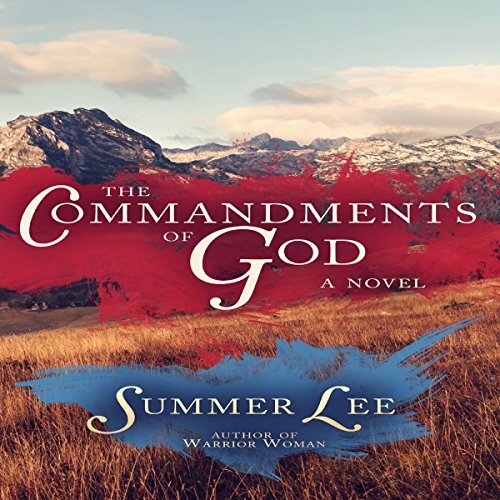 The Commandments of God, the exciting eighth and final novel in the Biblical Adventure series by acclaimed Christian author Summer Lee, unlocks the spiritual mysteries of sacred Biblical relics and links them to the present through international adventure quests.